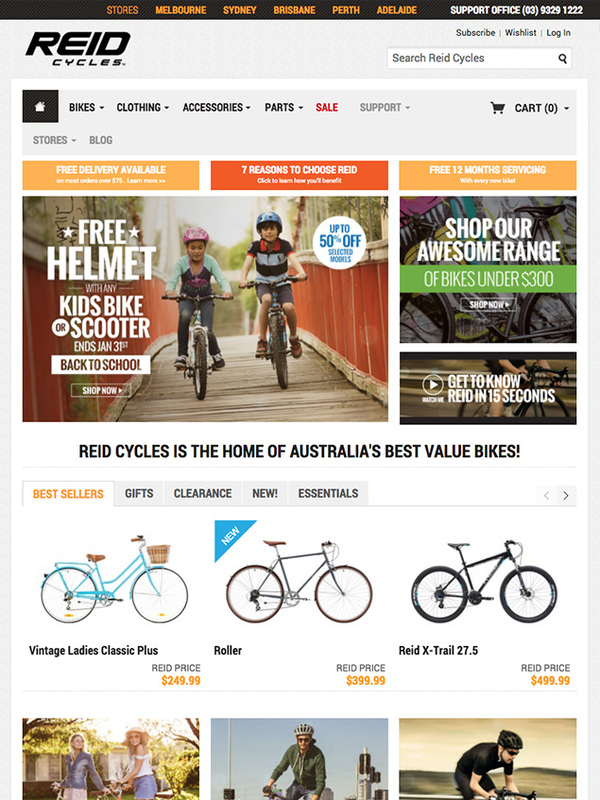 Reid Cycles is home of Australia’s best value bikes and accessories. 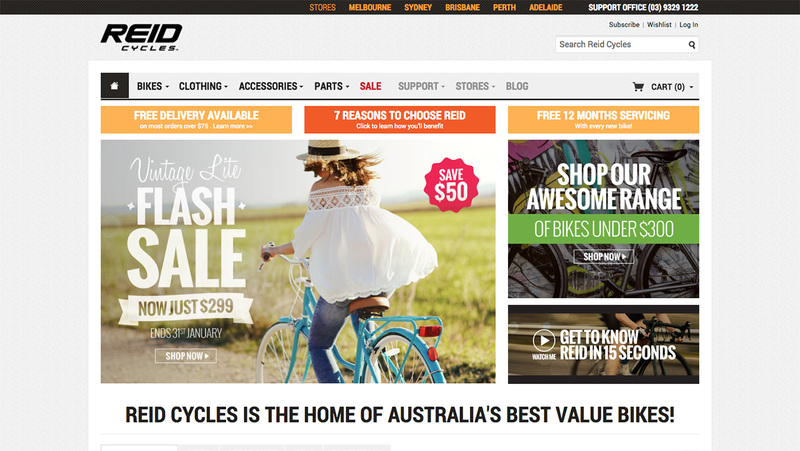 Run out of Melbourne they are one of the best known brands in cycling in Australasia. 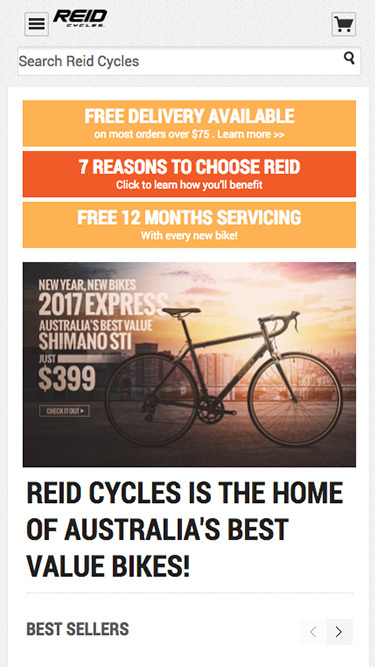 Offering a whole rang of different bikes from vintage & electric bikes through to racing, mountain-bikes and more We work in partnership with Reid Cycles through various campaigns and enhancements to their website and help operate their wider e-commerce solution. Our involvement includes improving site maintenance, management, performance enhancments, efficiency, health assessments, marketing, reporting, integrations, feature development and more!